This Vitamin C and antioxidant-rich blend of tropical fruits, fresh carrots, and the hydrating, good-for-you fats in tahini will give you a glow that lasts all day long. 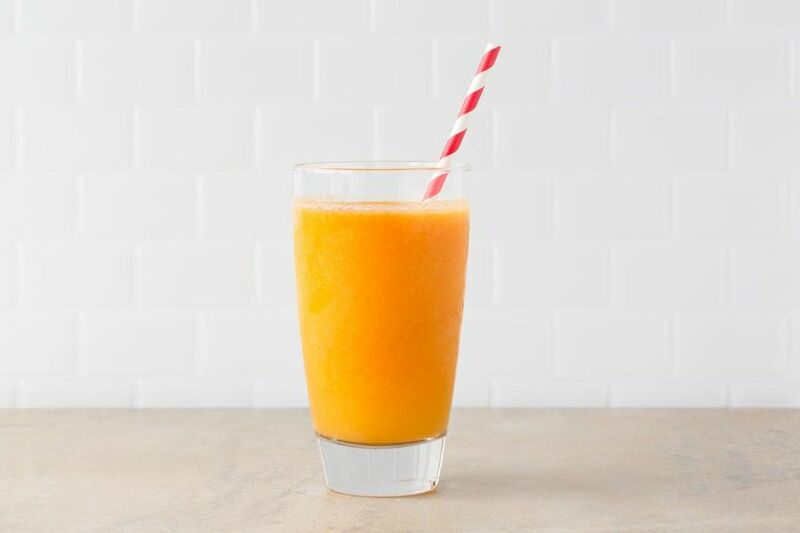 In a blender, combine the orange juice, pineapple, mango, carrots, and tahini. Season lightly with salt and blend until smooth. Nutrition per serving: Calories: 170, Protein: 3g (6% DV), Fiber: 2g (8% DV), Total Fat: 8g (12% DV), Monounsaturated Fat: 3g, Polyunsaturated Fat: 3.5g, Saturated Fat: 1g (5% DV), Cholesterol: 0mg (0% DV), Sodium: 20mg (1% DV) (does not include pantry salt; for reference, ¼ teaspoon kosher salt added to the recipe averages 240mg per serving, or 10% DV), Carbohydrates: 24g (8% DV), Total Sugars: 16g, Added Sugars: 0g (0% DV). Not a significant source of trans fat.